Niagara IceDogs (9-4-2-0 | 20 pts) vs Mississauga Steelheads (8-4-2-0 | 18 pts) 7:00 pm. 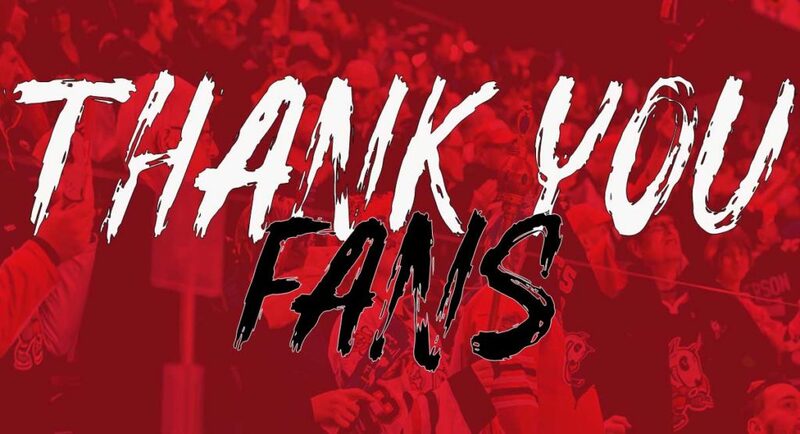 1) The IceDogs return home tonight after a short road trip to Michigan, where they defeated both teams for the first time in franchise history. 2) Tonight marks the first game in a home and home against the Steelheads. 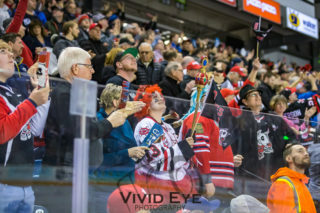 The season series thus far is tied 1-1, with the IceDogs defeating Mississauga 8-6 in the season opener, and then falling in overtime just before Thanksgiving weekend. 3) In two games against the Fish, Akil Thomas has collected 8 points (1 goal, 7 assists), Kirill Maksimov has 4 goals, and Ivan Lodnia has 2 goals and 2 assists. 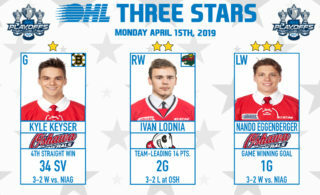 4) Ivan Lodnia is currently riding a 3-game point streak, collecting a point a game. 5) Kirill Maksimov is ranked tenth in the league with 11 goals, 6 of which coming on the powerplay, tied with Hamilton’s Arthur Kaliev to lead the league. 6) Starting goaltender, Stephen Dhillon, has the league’s 5th best goals against average, with 2.59 and the fourth save percentage of .921. 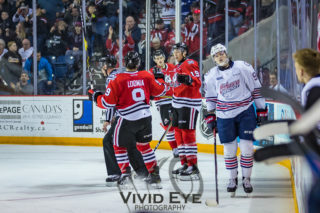 7) The IceDogs have the 10th ranked home powerplay, with 20.6% efficiency, and the 10th ranked home penalty kill, with an 84.0% efficiency rating. 8) The Steelheads’ away power play ranks 18th with 8.0% efficiency, while their away penalty kill is ranked 11th with 79.0% efficiency. 9) Mississauga’s Cole Carter is ranked fourth in the league in powerplay goals, having scored 5 this season. 10) The Steelheads’ Owen Tippett, who was suspended for our last match-up in Mississauga, is ranked 2nd in first-goals of the game scored, with 4. Take advantage of our $10 Fall Thursday deal for tonight’s game. Make sure to pick up your $10 tickets in our Value Zone (sections 108-111)! At all entrances for tonight’s game, the Lincoln-Welland Regiment will be providing poppies to show our support for our veterans.